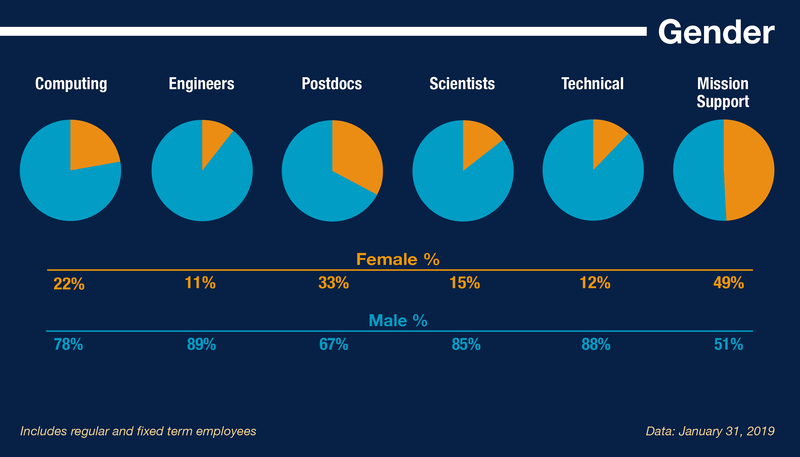 Fermilab’s workforce consists of 1,844 employees (as of January 31, 2019), who are 25 percent female and 75 percent male. 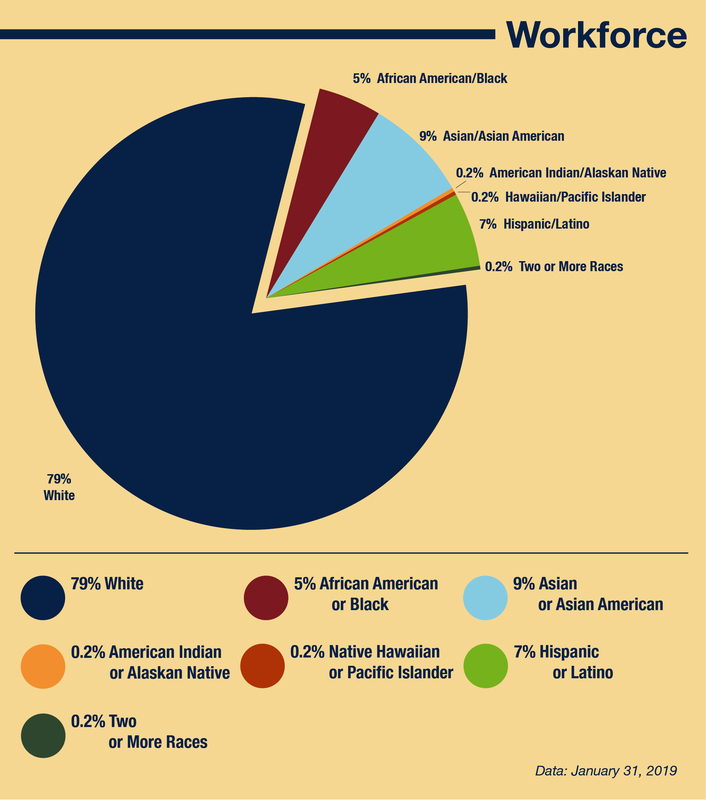 The graph below shows the overall workforce distribution by ethnicity. 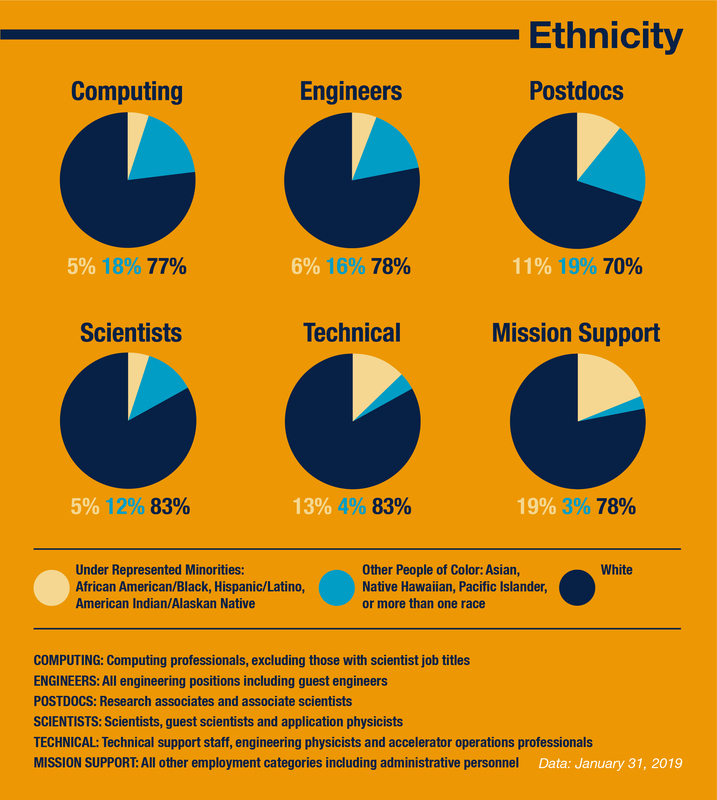 Fermilab develops, implements and maintains purposeful and intentional strategic initiatives to support a respectful organizational culture and intellectually diverse workplace.